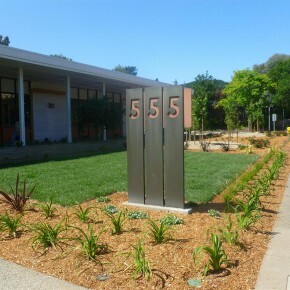 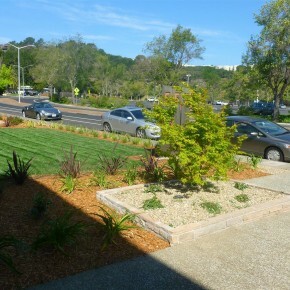 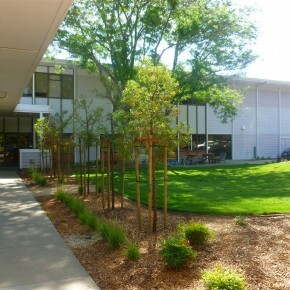 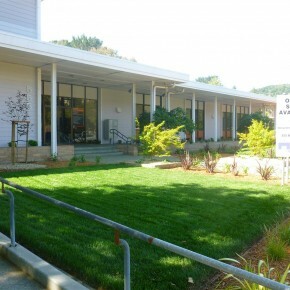 This commercial office building was our second installation for the Marin Community Foundation (MCF), after our first project for their building near the Civic Center in San Rafael. 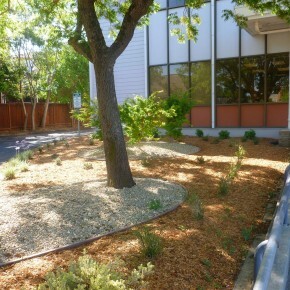 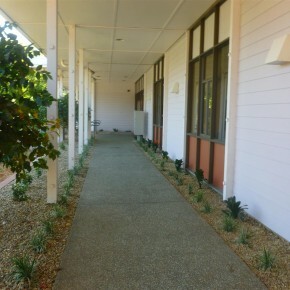 This project was a more extensive removal and redevelopment of the landscape in the front and rear of the building. 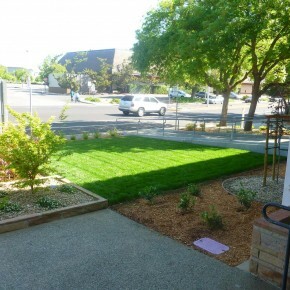 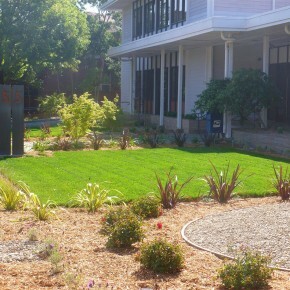 We focused our design on a reduced lawn area in front (the project is on reclaimed water and not subject to water restrictions). 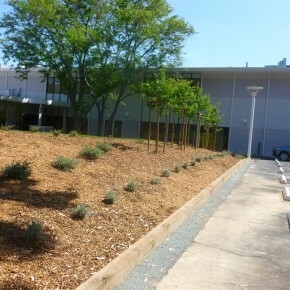 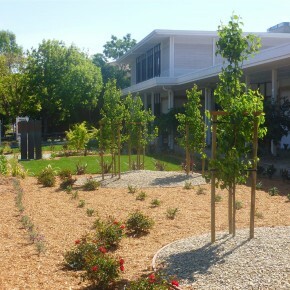 In the rear of the building we installed new screening trees and plantings.